Theories From 'Westworld' S2E10, "The Passenger"
The Ringer's David Shoemaker, Micah Peters, and Danny Heifetz discuss the Easter eggs left throughout the finale (21:03), the latest fan theories (26:12), and the biggest moments from this season (48:24). In this live podcast, The Ringer's David Shoemaker, Juliet Litman, Micah Peters, and Danny Heifetz give their immediate reactions to the 'Westworld' Season 2 finale (8:01), discuss the biggest cliffhangers (32:10), and answer fan questions (64:55). Watch the live taping of this episode on Twitter, YouTube, or Facebook. What Show Does ‘Westworld’ Want to Be? Theories From 'Westworld,' S2E9: "Vanishing Point"
The Ringer's David Shoemaker, Micah Peters, and Danny Heifetz discuss what next week's trailer tells us about the Season 2 finale (4:49), Logan's return (28:04), and all the possible references to classic literature (31:04). The Ringer's David Shoemaker, Sean Fennessey, and Danny Heifetz break down the penultimate episode of the season and discuss whether the Man in Black is a host (9:50), how seriously viewers should take character deaths (15:30), and what we learned from all the flashbacks (27:27). The Ringer's David Shoemaker, Micah Peters, and Danny Heifetz discuss what they got wrong in the last episode (03:00), speculate further about the theory that William is a host (19:40), and look ahead to next week’s episode (48:10). The Ringer's David Shoemaker, Andrew Gruttadaro, and Danny Heifetz break down why Akecheta is such an important host (8:29), the art of a bottle episode (24:14), and this week's awards (45:27). Theories From 'Westworld,' S2E7: "Les Écorchés"
The Ringer's David Shoemaker, Micah Peters, and Danny Heifetz discuss this week's timelines (1:10), the wild Charlotte-Bernard theory (12:25), and why Wild Bill may be the key to figuring out where we're going next (38:36). The Ringer's David Shoemaker, Kate Knibbs, and Danny Heifetz discuss what "the door" may be (13:18), Maeve and the Man in Black's dramatic reunion (32:41), and this week's awards (51:20). 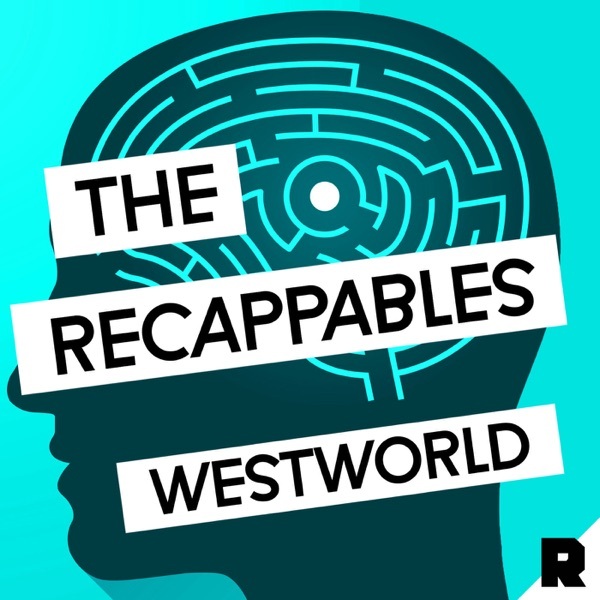 Theories From 'Westworld,' S2E6: "Phase Space"
The Ringer's David Shoemaker, Micah Peters, and Danny Heifetz discuss things they missed in last week's episode (3:02), figuring out the cradle (13:43), and the connection hosts may have to elephants (37:20). The Ringer's David Shoemaker, Juliet Litman, and Danny Heifetz discuss this week's big reveal (7:32), the most pressing questions we're left with (31:45), and this episode's awards (48:02). The Ringer's David Shoemaker, Micah Peters, and Danny Heifetz discuss the driving theories of this season so far (9:47), whether or not Ford is a host (16:51), and what's in store next week (38:07). The Ringer’s David Shoemaker, Alyssa Bereznak, and Danny Heifetz discuss the parallel strands between this week’s episode and previous moments in ‘Westworld’ (06:15) before asking burning questions they have after visiting Shogun World (23:15). Then they hand out this week’s awards (50:05). Theories From 'Westworld,' S2E4: "The Riddle of the Sphynx"
The Ringer's David Shoemaker, Micah Peters, and Danny Heifetz discuss the importance of the book sitting in Jim Delos's "apartment" (9:10), this week's mind-blowing theory about the Man in Black (19:20), and why Dolores may be journeying to a library (29:40). 'Westworld,' S2E4: "The Riddle of the Sphinx"
The Ringer's David Shoemaker, Jason Concepcion, and Danny Heifetz discuss Bernard's and Jim Delos's timeline jumps (7:50), the reveal of William's daughter and what her role may be going forward (27:19), and this week's awards (46:49). The Ringer's David Shoemaker, Micah Peters, and Danny Heifetz discuss this week's top theories including The Man In White (4:11), Elsie's potential return (6:02), and....'Jurassic Park'-world (15:02). The Ringer's David Shoemaker, Sean Fennessey, and Danny Heifetz discuss why this week's episode was confusing (5:38), the possibilities in store for discovering more of the wider world (8:52), the disappointing battle at Fort Forlorn Hope (27:22), and this week's awards (42:19). Theories From 'Westworld' S2E2: "Reunion"
The Ringer's David Shoemaker, Danny Heifetz, and Micah Peters discuss the correct timeline of Arnold's death (2:15), the theory that Teddy's brain is now in Bernard's body (9:56), and what Lee Sizemore may have to do with that giant sea from episode 1 (22:05). The Ringer's David Shoemaker, Alison Herman, and Danny Heifetz discuss Dolores and Maeve's anticlimactic meeting and the introductions that happened in this episode (10:53), that surprising guest star (17:39), the Delos timeline (29:19), and this week's biggest theories (50:13). 'Westworld,' S2E1: "Journey Into Night"
The Ringer's David Shoemaker, Chris Ryan, and Danny Heifetz discuss the Season 2 premiere of 'Westworld' (1:06), the most shocking moment of the episode (21:42), and what new plot theories were created (36:19). The Ringer's David Shoemaker and Danny Heifetz introduce a brand-new podcast, which will cover Season 2 of HBO's 'Westworld,' examine where the show left off in Season 1, and discuss what there is to look forward to.